Welcome back to our little expedition through the animation software temple that is the Animatron Editor! So far, we've clicked on the Animatron Hero's head (or Main Menu Icon) and thumbed through the first few submenus it had to offer. What's next here in part 4, you ask? More submenu action! I know, I know, you can't wait to get out of this menu void, but I can promise we will be through with it sooner than you can say "I have seen Part 5 and Part 6". So, let's move forward with the Play Sub-Menu! 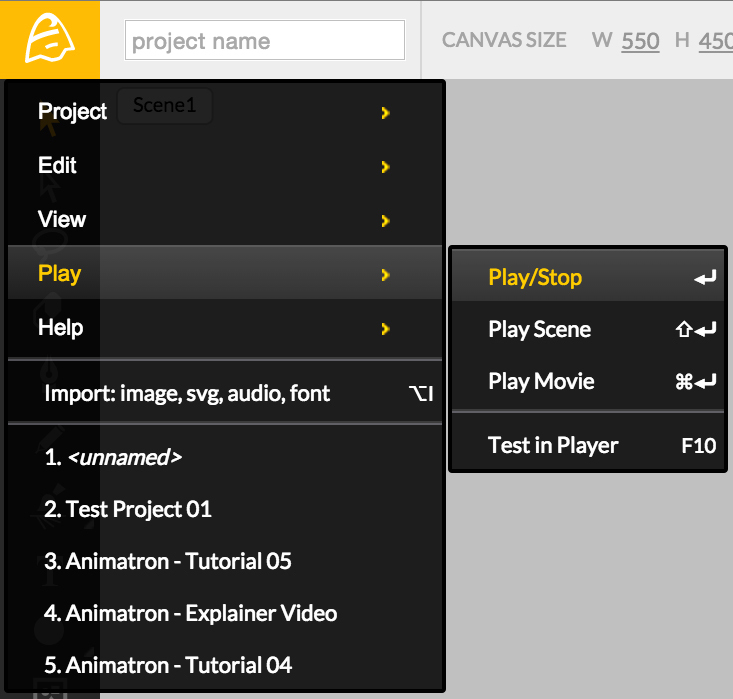 Below View, we have the Sub-Menu [Play], revealing playback options for your current project, seen above. Play/Stop will play through your timeline from the currently selected time on the Timeline, stopping at the position of the Scene Duration Handle. Play Scene will only play through your currently active Scene, from the beginning of the Timeline. Alternative scenes in your Scene List will not be played in sequence. Play Movie will play all scenes in your Scene List, from beginning to end. 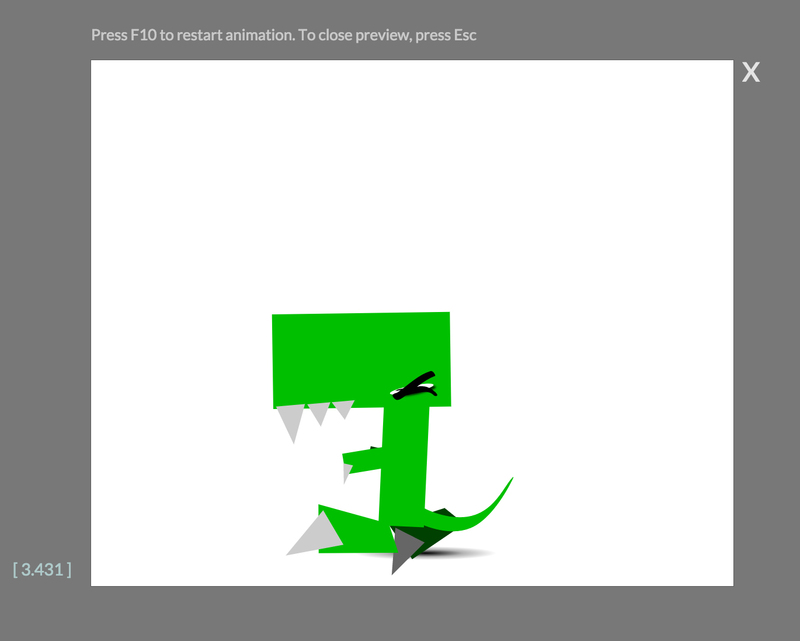 Finally, Test In Player opens an embedded previewer, playing all of your scenes, seamlessly, within the Animatron Editor. The Player allows you to view your project as if it was a published video, giving you a better representation of your finalized media. We are almost through with the Main Menu! Let’s continue onto the last of these Sub-Menus and find out how much Help our last one can actually be!